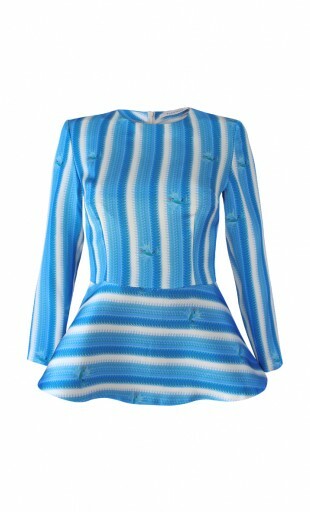 The peplum top is printed with rows consisting of phantasy motif birds in different shades of blue. The top is also available with appilqued bird embroidery in a contrasting red color. 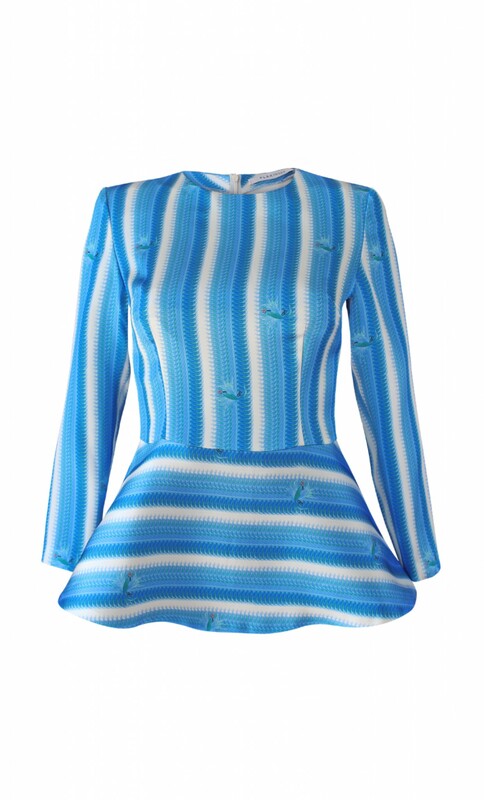 Rounded neckline, long sleeves, peplum, zipper closure at back.